Have you ever asked why your employees like your brand? Is it your mission statement, your procedures, your company morals, or is because you were hiring? Who’s going to be honest with you? 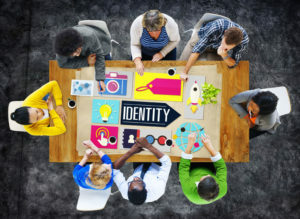 Employees can be an important part of your brand. Newsflash: When you own a company, you cannot be around for every decision, at every location, at every meeting, for every interview. You have to be able to trust your employees to care for parts of your company you cannot always be present for. One of those pieces is branding. How often do you ask the question: “Why do you want to work for us?” Probably a lot. More often than not you’ll get a canned response about using the products, they like what the company stands for, or they love the work. How do you get the honest truth out of these candidates to see what they really like about your company? Sometimes the truth is they like you because you’re hiring. You can use interviews to find out how the outside world views your company and why people come to you rather than your competitors with some good interview questions. When did you start using these products? : This can help you understand how long this potential employee has had your company on their radar. Keep track of these answers to discover patterns within your customer base. How did you hear about the company? : Asking this can give you some helpful feedback about your advertising. If more people hear about your company through word of mouth than your Facebook ads, you can reconfigure your ads to make them more successful. How do you feel when you walk into our stores/office? : Colors, temperature, floor textures, desk types all have an impact on how a person views the company. Think about how the objects in a room affect people’s moods. For example, if you are a bank, bold reds and oranges may turn customers or employees away because it is too “in-your-face” for a peaceful bank. Think about how your brand affects people. What kind of feeling do you hope to get when you walk into a store/office like this? : Asking this question can answer if your company is “on-brand” with what people are looking for. For example, if you are running a toy company and you are shooting for a welcoming place that encourages people to stay and play, but the response from the candidate doesn’t match up, it’s time to think about how to rebrand. From looking at the store/office, if you could change one thing, what would it be and why? : This is a question you would listen for consistencies. If you keep hearing that the blinds should be open, the ambiance is dark, it’s too quiet in the office. Think about what that says about your company. Maybe outsiders think your building is dark and unwelcoming. If it’s too quiet, maybe there is a lack of open communication between you and your employees. Even behind the scenes, the branding should be present. Be what the company represents, and listening to your employees or potential employees is the best way to improve. Keep your interviews as open, uncanned, and honest as possible to get the most out of it. Even if you interview a candidate who will not work out, you can always get helpful information from it. We can help you if you need some tips on how to run a thorough interview, just send us an email!